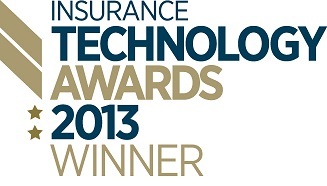 Bought By Many is Insurance Website of the Year 2013! Innovative insurance start-up Bought By Many has been named Insurance Website of the Year 2013 at the Insurance Technology Awards, beating off strong competition from LV=, Carrot Car Insurance, and Tempcover. In its review of the awards, Post magazine commented "The judges were impressed with a site that connected people with similar insurance needs into groups, and uses the group's collective buying power to negotiate offers on insurance that wouldn't be available to individuals." When Steven Mendel and Guy Farley founded Bought By Many, their aim was to shake up insurance, using social networks to serve the "long tail" of insurance needs more effectively, and making the industry work harder for ordinary people. Since launch in 2012, over 10,000 people searching for a fairer deal on insurance have joined together across 135 groups on boughtbymany.com. Grouped by their common interests ranging from pets to gadgets to shared medical conditions, and even professions, we’ve negotiated discounts for our members that they just couldn’t get on their own. And now, we’re thrilled that the Insurance industry has also given us an official thumbs up in the shape of the ‘Insurance Website of the Year 2013’ Award. So a huge thank you to the judges at the Insurance Technology Awards – the trophy has pride of place in the office! We’re changing the way people buy insurance, add your voice to a group and help us improve the deal for everyone.